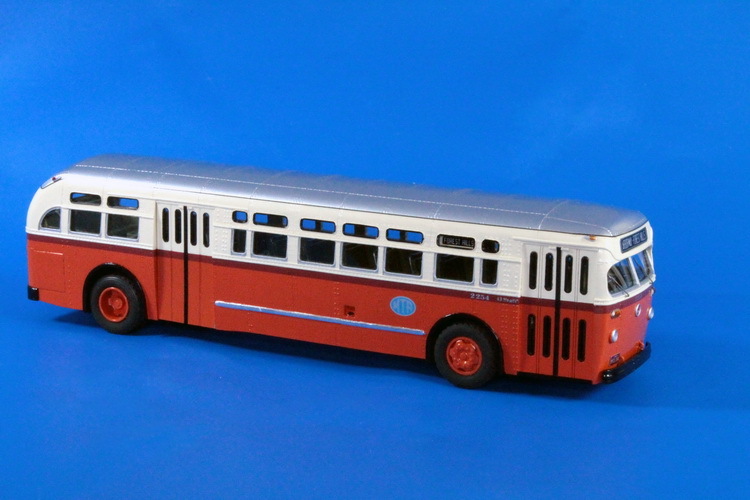 Model 1956 mack c-49 dt (new york city transit authority 6000-6317 series). 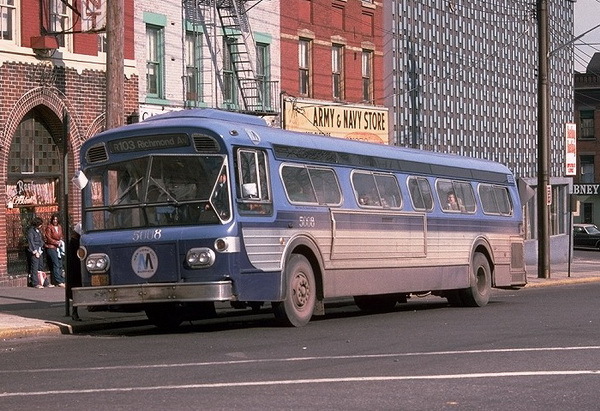 1956 Mack C-49 DT (New York City Transit Authority 6000-6317 series). 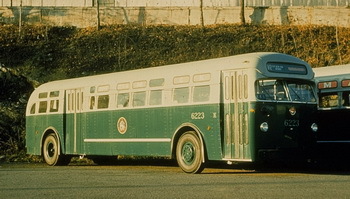 In 1956 New York City Transit Authority placed large order to Mack for 318 C-49 coaches, which were delivered to the city between July and December 1956 and received numbers 6000-6317. 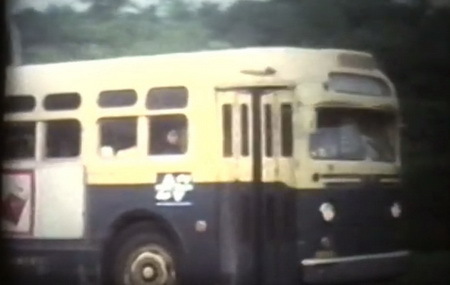 They were 96' wide and had double-width centre exit doors. The new livery of gray and green was applied as well as a new color NYCTA logo. 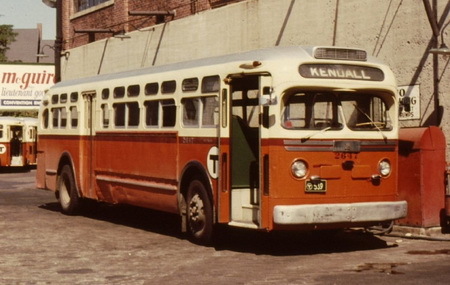 When delivered, the Macks had a comfortable two-tone pink and greay seats, but later they were replaced by fiberglass seats (green in Brooklyn and pink in Staten Island). 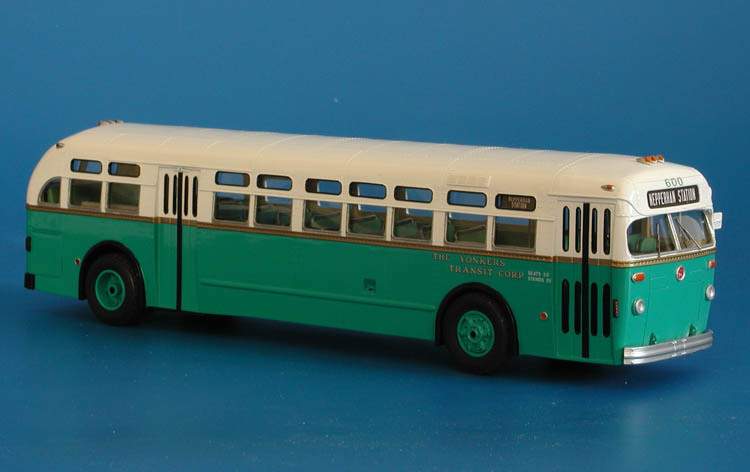 [This special Custom paint order model have all features of the NYCTA Macks but use the slighlty shorter California version (274 1/2' wheelbase) body as a base]. 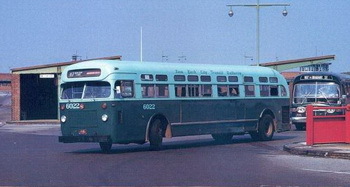 1956 Mack C-49 DT (New York City Transit Authority 6000-6317 series) - 1960s two-tone green livery.